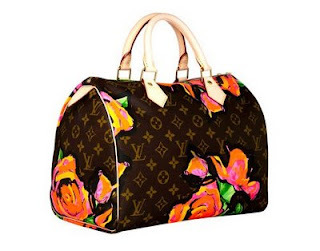 The verdict's still out on the Louis Vuitton Stephen Sprouse handbag collection. This Louis Vuitton classic is revisited in fluorescent Monogram Graffiti canvas inspired by late American artist Stephen Sprouse. As part of Louis Vuitton's commitment to Sprouse's work, the house will also make a donation to the National Academy of Design - Stephen Sprouse Scholarship Fund to mark the launch of the collection. The collection hit stores January 9th and is expected to be a must-have for Spring and Summer 09'. Labels: Handbags Hot or Not?